Finding a Atlantic Cape Community College graphic design & multimedia study abroad program has never been easier — seriously! 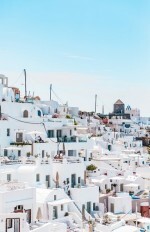 With Uloop, you can browse for Atlantic Cape Community College graphic design & multimedia study abroad programs, other study abroad trips, affordable study abroad trips, accredited study abroad trips, and more all in one easy place. Refine your graphic design & multimedia study abroad search using filters and your Atlantic Cape Community College graphic design & multimedia study abroad search will be greatly enhanced! Be sure to share relevant graphic design & multimedia study abroad programs with Atlantic Cape Community College classmates to make the graphic design & multimedia study abroad search process even quicker for them. Use Uloop.com to find and compare Atlantic Cape Community College graphic design & multimedia study abroad programs today!